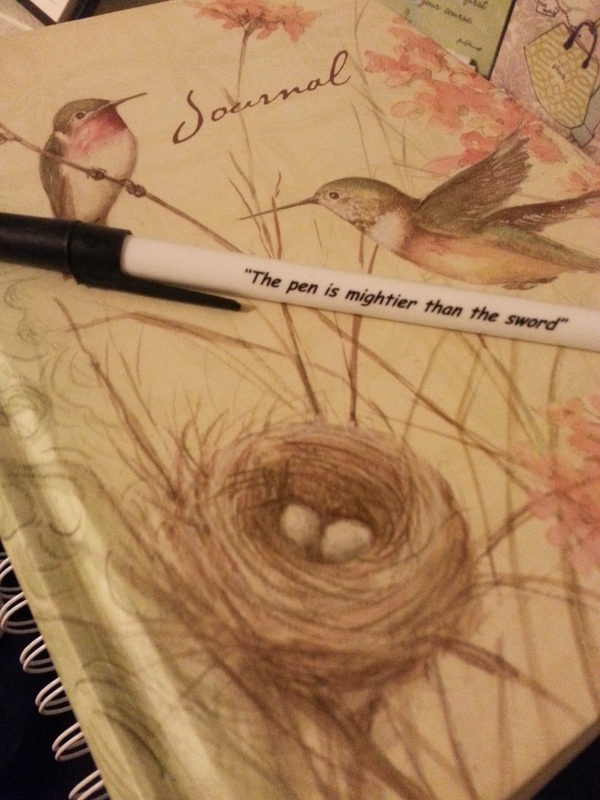 When you find a truly congenial pen, you don’t just let it go. You mustn’t fling it around carelessly, let it ride barely held in by the mesh pockets of your backpack, allow it to sink to the bottom of the jumbled pile in your desk drawer. You keep track of it, digging frantically through your room whenever it’s lost for a day. But neither do you use it for just any purpose, like jotting down grocery lists – or maybe you do. Maybe it’s that sort of pen, the sort that lends itself to making ordinary life flow a little smoother like ink from a perfectly poised ballpoint tip. So its ink spreads over your life, through your planner and the torn-off bits of paper on which you write notes to yourself and your family, across the margins of newspapers where you doodle while you try to think of that last crossword answer. Maybe it’s that sort of truly congenial pen. Or perhaps it’s the kind that you store right next to your journal, because your thoughts just seem to write out better, even the tangled ones, when you have it in your hand. It makes your darkest daydreams more palatable, your most confusing stressors more bearable. Fond memories, written in its ink, become golden tinted. It never runs out in the middle of a paragraph, never abandons you while you’re ranting to the page about your job or your crush or the people who live above you who stomp around like elephants in a Conga line. Perhaps it’s that kind of pen. Those who think this sort of attachment to a writing utensil is ridiculous have obviously not found a truly congenial pen of their own. Those who agree with me know, as the Bard said, that pens are mightier than swords – so just the right one, in the right (or left) hand, is a formidable weapon indeed.